We caught up with Jeff Zimmer, a Washington Glass School alum, when he visited from Scotland. 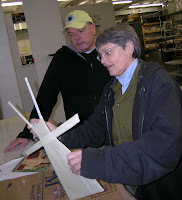 Jeff was a teaching assistant, (back in the day) and was one of the artists in our incubator program. 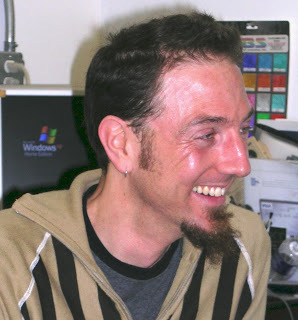 Jeff went to Edinburgh College of Art in Scotland and received his Masters of Design, Architectural Glass in 2005. 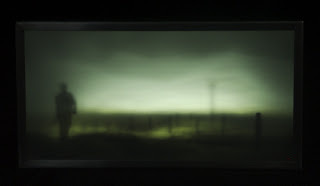 This past September, he was one of the artists in the British Glass Biennale. 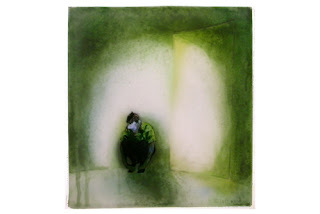 His glass artwork had early on received much attention, including Judith Schaechter listing Jeff as one of 10 glass artists to watch in an article in Glass Magazine (Fall 2003). 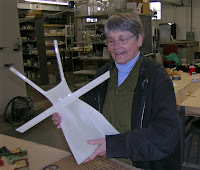 Nancy Donnelly works on a new glass dress. >…And to all a Roast Beast! 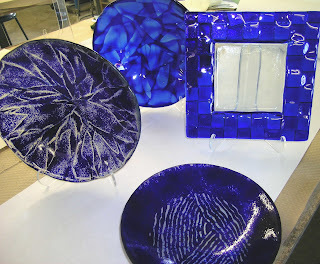 A new class will have its debut in this session – Cobalt Blue Bowls. 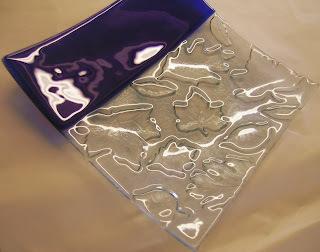 This class works with everyone’s favorite color – the lush, strong, deep cobalt blue. Click Here to see the class dates and times of what will be a fun class! via Lenny Campello’s facebook page. 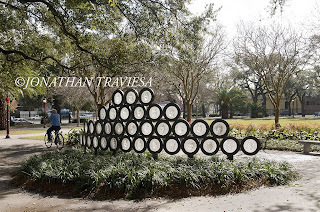 Tim Tate’s cast glass and steel sculpture won the international design competition held in New Orleans. It took many years to pull together financing and organize the construction; the park opened November 29, 2008, timed to open before World AIDS Day. In the words of the committe: Set in historic Washington Square Park, the New Orleans AIDS Memorial will provide a healing sanctuary for family and friends and will promote understanding of the human tragedy of the AIDS epidemic. It (was the) goal for the monument to create a public landscape where anyone who has been touched by AIDS can find comfort and consolation within a dignified and creative community setting. 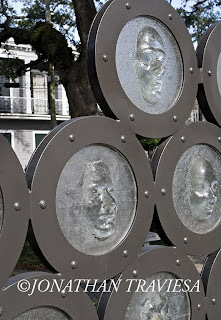 The sculpture’s design, which incorporates cast glass faces that keep watch thru metal portals, is the focal point for the yearly “AIDS Walk” that commences at the park. 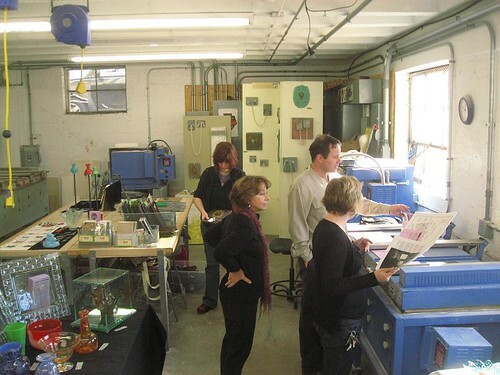 Washington Glass School Open House, originally uploaded by Scenic Artisan. 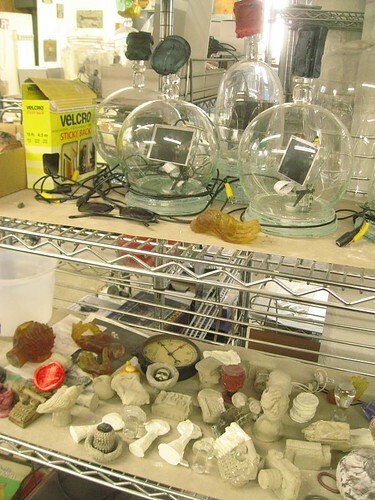 last minute organizing before the open studio……..
once it started i was too busy to take photos, but thanks to everyone that came out and made such a success. 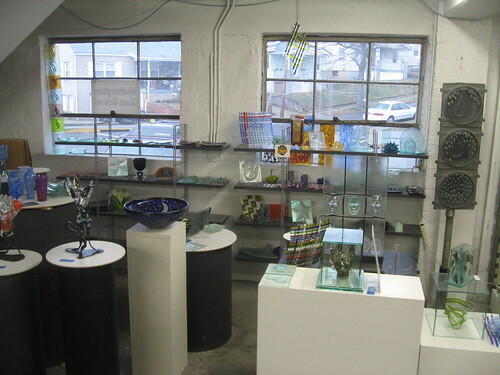 Washington Glass School Open House and Holiday Sale! 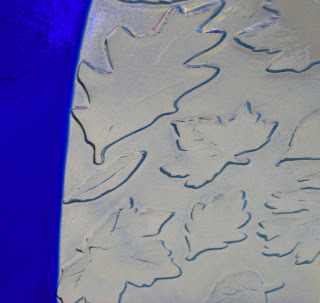 Artwork by glass artists (including Michael Janis, Tim Tate, Erwin Timmers, Sean Hennessey and all the Washington Glass Studio artists) will be on exhibit and for sale. The adjoining artist studios will all be joining us to make for a huge event: Cool ceramics works from the artists of Flux Studios and Red Dirt Studios, including works by Novie Trump, Margaret Boozer, and Laurel Lukaszewski; amazing painting and encaustic works by Sinel/Stewart/Weiss Studios, Janis Goodman, Blue Fire Studio and the other artists in the Studios along the Railroad Tracks. The Gateway Arts District has coordinated the surrounding arts & craft venues and galleries to coincide with events going from Mount Rainier through Brentwood and Hyattsville.